Voices in Time (Funded by Arts Council England) is an inter-generational project with young and elderly people from Hackney. WhittyGordon Projects worked with young people from Smalley and surrounding estates and elderly people from Lawrence Court sheltered housing managed by Hanover Housing in Stoke Newington. We organised workshops to share and exchange stories and experiences. We brought in award winning writer/director/actor/comedian Gabriel Bisset-Smith and photographer Janina Samoles to work with participants. The young people learned filmmaking, creative writing and presenting skills. The aim of the project was to challenge perceptions of each other. By facilitating close collaboration between both young and old participants, Voices in Time fostered understanding between generations and encouraged young and older people to see each other in a different light. The young people and WhittyGordon created a short film from material produced during workshops alongside a photography booklet to document their experiences. The project benefited 15 young people ages 8-14 from low income and difficult backgrounds from Smalley and surrounding estates . The young people decided to produce a film called "Hidden Histories of Stokie" which focused on the history and how its changed to the present day. The young people storyboarded, produced, came up with questions for interviews and filmed the short documentary. A BAFTA nominated writer/director and actor gave voice coaching, projection and confidence and presenting skills. Each person chose a subject and come up with research on their own areas of interest about Stoke Newington. They presented their research and filmed in their chosen areas, highlighting all the great places to go and activities to do in their local area. The young people who were involved learned, technical, life skills, transferrable and professional training. They learned about new places in their area and travelled to places they had never been before. They learned how to operate in a team, learning how to produce a documentary. They also improved literacy skills through the storyboard development and by preparing questions for the interviewees beforehand and also interpersonal and communication skills, talking to new people out and about in the local area. We were funded by Big Lottery and partnering with Nightingale Luncheon Club to run a series of film workshops working with young and older people who live on the estate to film memories and talk about the history of life and how its changed on the estate. We were commissioned by The Big Lottery to make a film with St. Mary's TRA about the past and present of St. Mary's Estate. We worked with local residents to interview and collect stories and memories of their lives lived on St. Mary's Estate. A place Called Home was a 6 week project with homeless charity Hospital and Prison Action Network and funded by the Big Lottery. We brought 12 people together who have experienced homelessness or housing issues in the past together to produce a film about their personal experiences of homelessness. We also went out and about in the local community, talking to homeless people to find out what their needs are and what services are there to help them. The aim of the film is to create more understanding and awareness and challenge perceptions people have about homelessness. The film was screened on December 18th at The Rio Cinema. We hope that this project can be expanded on next year. High hill TRA, WhittyGordon Projects and DJ Funk Butcher worked together with 15 11-14 year olds from Springfield and neighbouring estates in Hackney to deliver Hackney's Hidden Talents project in August 2015. The workshops took place at Leaways School and involved media, music and radio training. They learned more about the music industry and radio presenting. Hackney born Radio DJ Funk Butcher delivered radio podcasting and music workshops and connected us with some of the well known and famous talent for the film. The young people went on a tour of Kiss FM radio station to get a taste of what a career in the media industry is like The young people worked like a team of community journalists to produce, organise and conduct interviews with local famous talent including Mandem on The Wall, Daj Jordan, DJ Spooney, Dr. Sean Wallace (Britains first black winner of Mastermind). The film produced was premiered at The Picturehouse Cinema in Hackney in October 2015. Short film about the mystical town of Roscrea, Ireland, where we spent three weeks for an artist residency with Damer House Gallery. Film made with young people from Smalley Estate film club about the hidden Gem that Stoke Newington in Hackney has to offer. 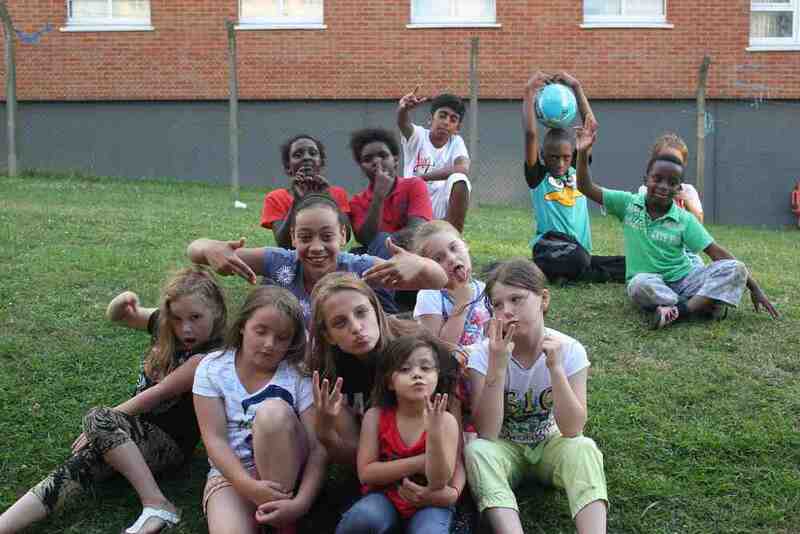 WhittyGordon Projects working with a group of young people aged 8+ on Smalley Estate Film Club. The film club improved life skills as well as transferable skills such as literacy, script writing, storyboard development, acting, camera handling and editing, research, teamwork, presentation, problem solving, management and leadership skills. The aim of the film club is to provide young people who are interested in media with professional training they can build on and develop better life chances for the future. The young people will be sign posted to where they can gain further skills or training and the aim is that the club will be continued once this project has ended. As part of the workshops, young people came up with ideas for films and created storyboards and shot lists. We did some drama and acting workshops where the young people worked as a production team to come up with their own scary movie scenes which we shot in the historical Abney Park Cemetery. Money Lane is a film involving Hackney residents working alongside WhittyGordon Projects to produce a short film about the changes happening in their community due to the redevelopments of the Morning Lane because of the 'Fashion Hub'. We interviewed the developer, Manhattan Loft, one of Britain's most successful architects David Adjaye, Guardian journalist Oliver Wainwright, director at Space Studios as well as young emerging fashion students and designers. For the most part, the local community were unaware or unsure what the fashion hub development was about. This film brings to light the fast pacing change Hackney is undergoing at the moment, to gain a better understanding about the development and how this will effect the local people and Hackney for the future. This is a short scary movie, written, produced and directed by young people from Smalley and surrounding estates in Hackney. This film was produced, directed and filmed by young people from Springfield in Hackney and focus's on all the positive 'hidden secrets' the area has to offer. Due to funding cuts there are currently no activities on offer on the estate. The focus of the workshops was on producing a short film and setting up a website to promote their new cinema club called CineG2. The aim for Gascoyne 2 Cinema club was to provide positive activities for the younger people especially to get involved in and feel part of. Gascoyne 2 Cinema Club provided 20 young people aged 10+ with access to free media training over 4 weeks during the Summer holidays 2014, which improved life chances by providing the young people with an increase in literacy, communication and team building skills through the filmmaking process. 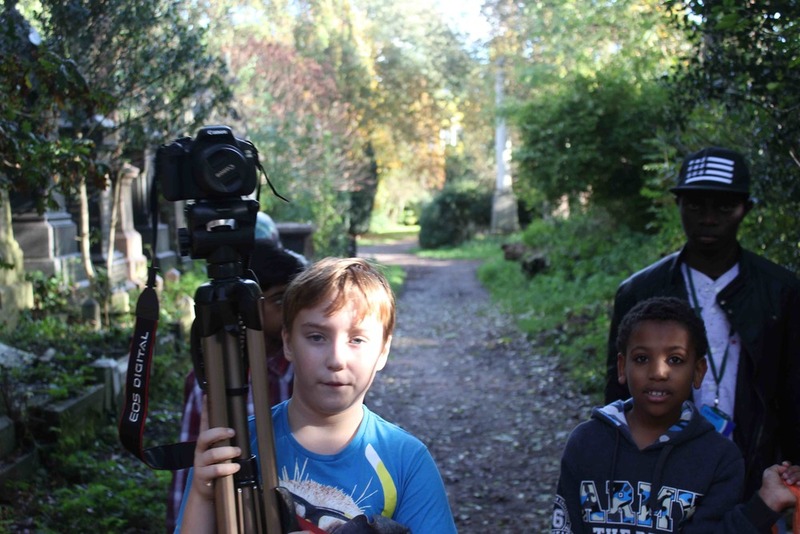 The young people also learned all the technical aspects of filmmaking. The club encouraged more community cohesion, as young people attended from different estates (tackling postcode war issues) and and broke down isolation and anti-social behaviour, providing the young people with positive activities to participate in, leading to more active citizens who are now more involved and activated in their community. The young people worked with WhittyGordon Projects to come with ideas for their own film, storyboard, act and shoot their own film about a football tournament, which was edited into a short film called Red Sharks V Blue Tigers. The film was shown in the community hall and showcased on the new website. The aim of the website was to promote their cinema club, which will run on a bi-monthly basis, screening films selected and/or made by residents, managed by TRA staff and volunteers at Gascoyne 2 Social Club as a sustainable programme once this project has ended. The website will host films produced by cinema club members, list news, programme and schedule for cinema club screenings.